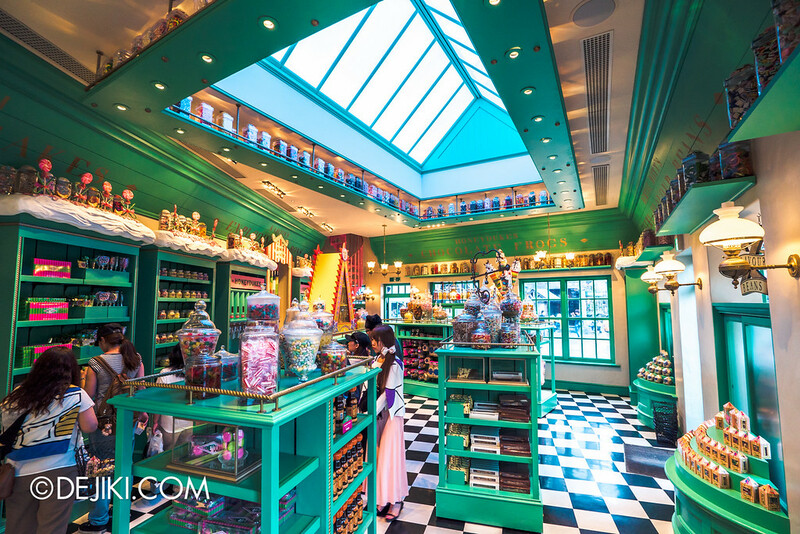 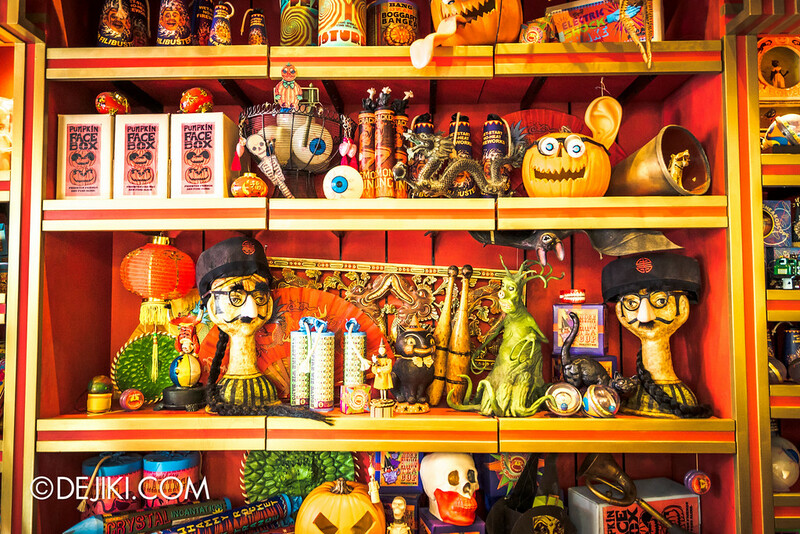 Welcome to the world’s most magical candy store! 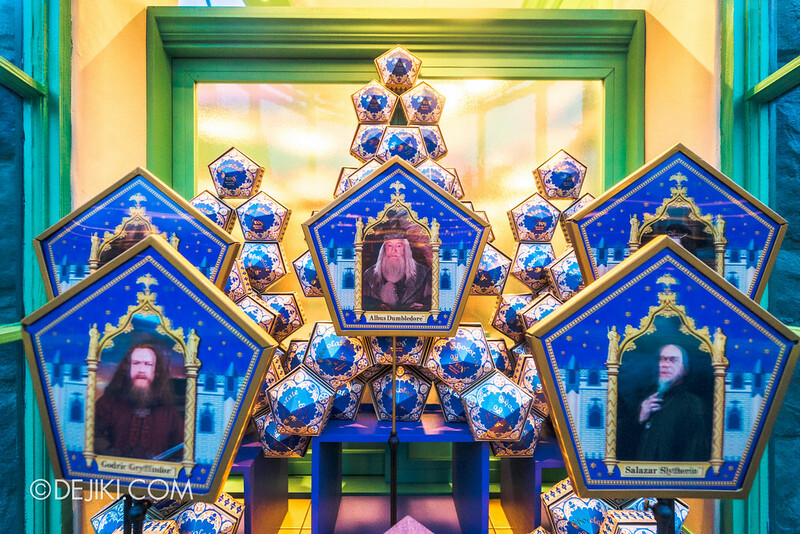 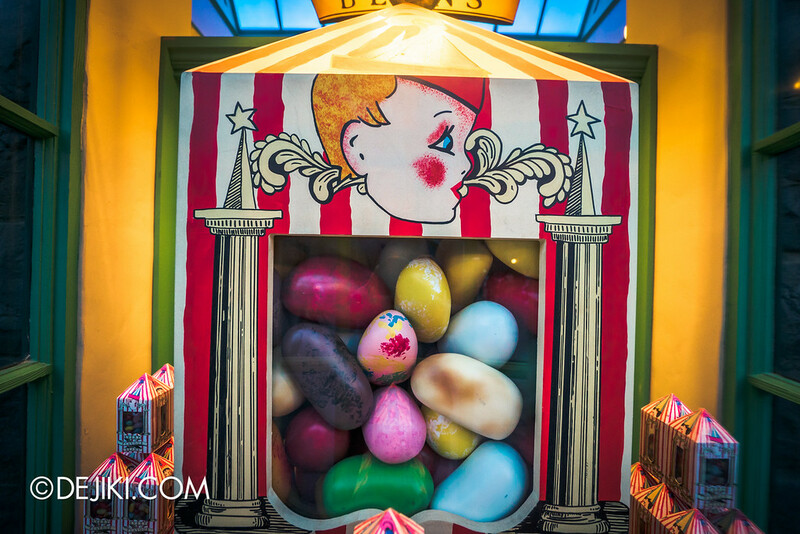 Almost every store window in Hogsmeade has animated elements, but Honeydukes has the most of such elements. 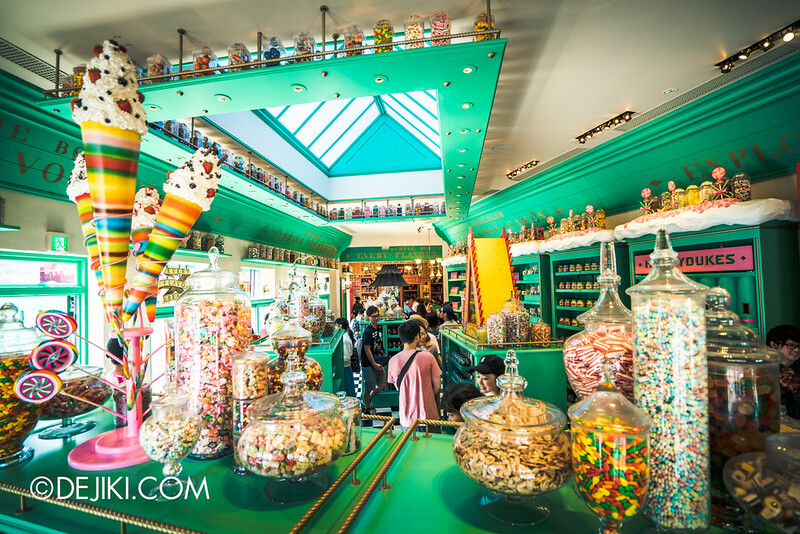 Look at this Clippy’s Clip Joint Licorice display. 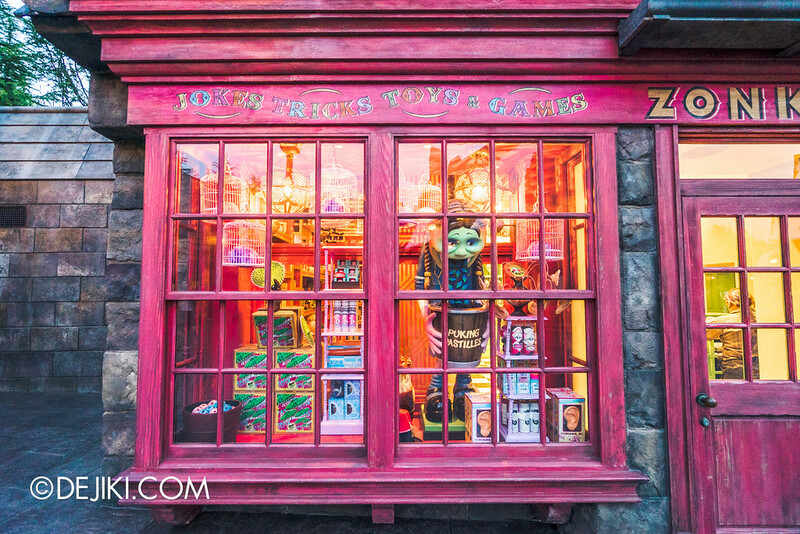 Chocolate Frogs sold here come with collectible cards. 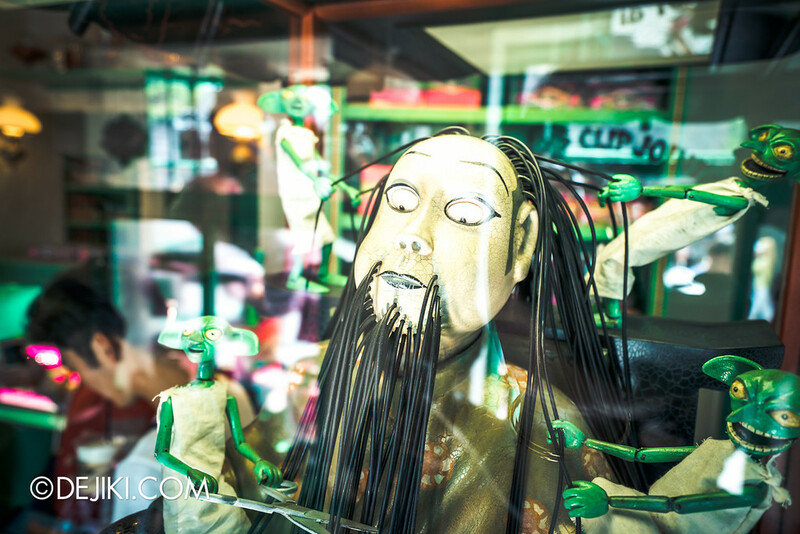 Don’t worry, the frogs won’t jump away… for now. 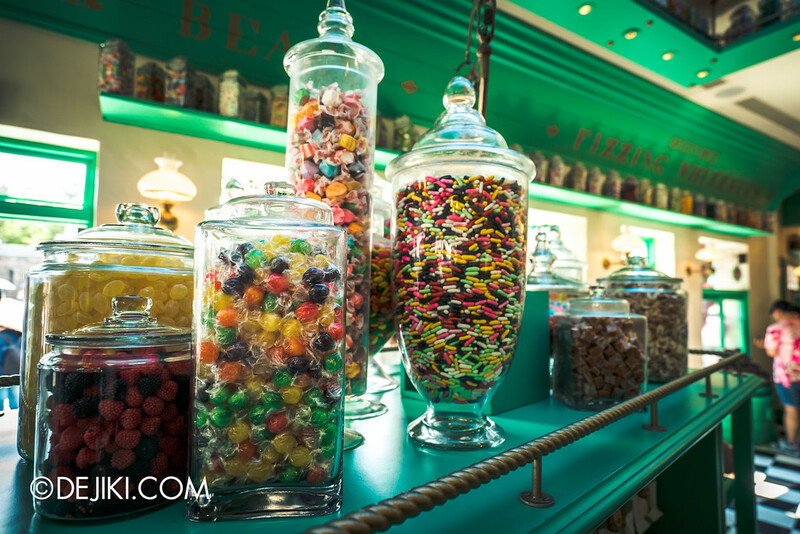 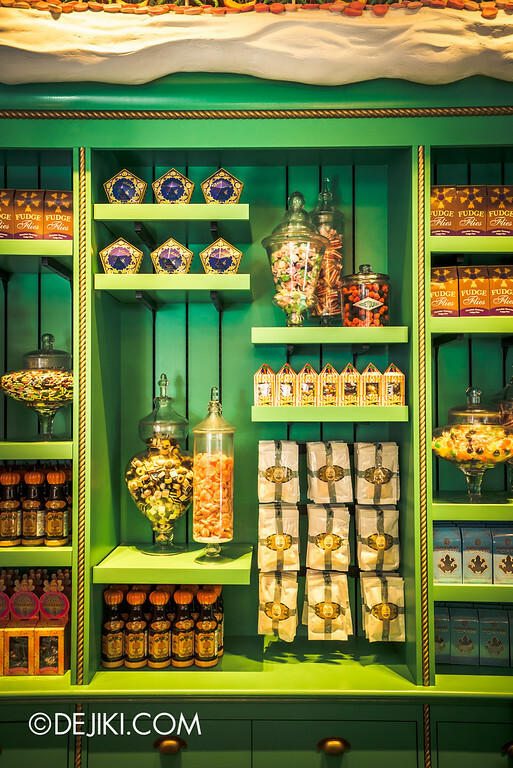 The store sells almost every kind of Candy that was seen on the Harry Potter films. 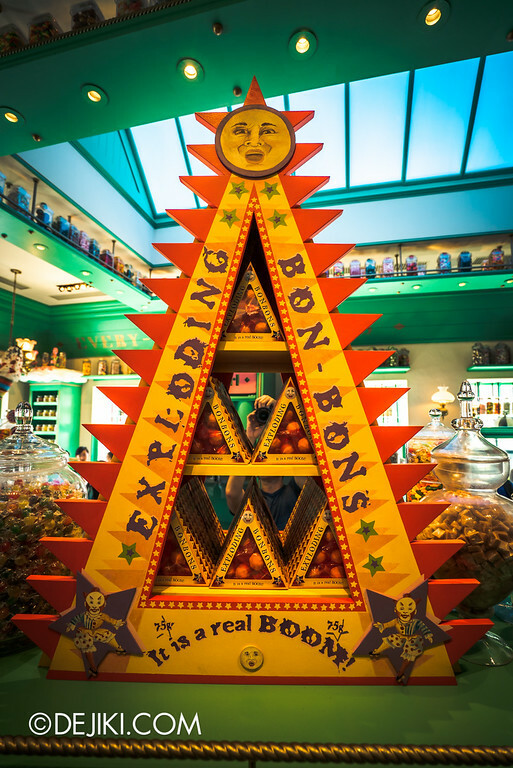 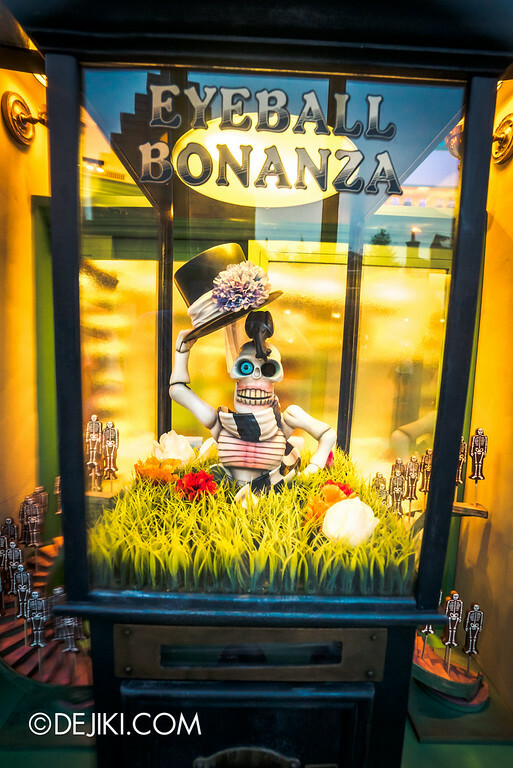 Zonko’s Joke Shop is a tiny shop that looks like an extension to Honeydukes. 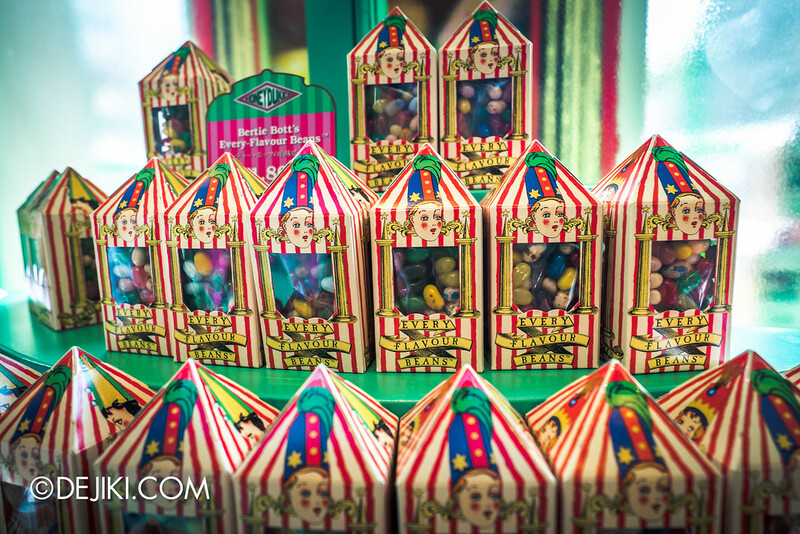 Over here you can grab some novelty gadgets that are well.. sort of a joke. 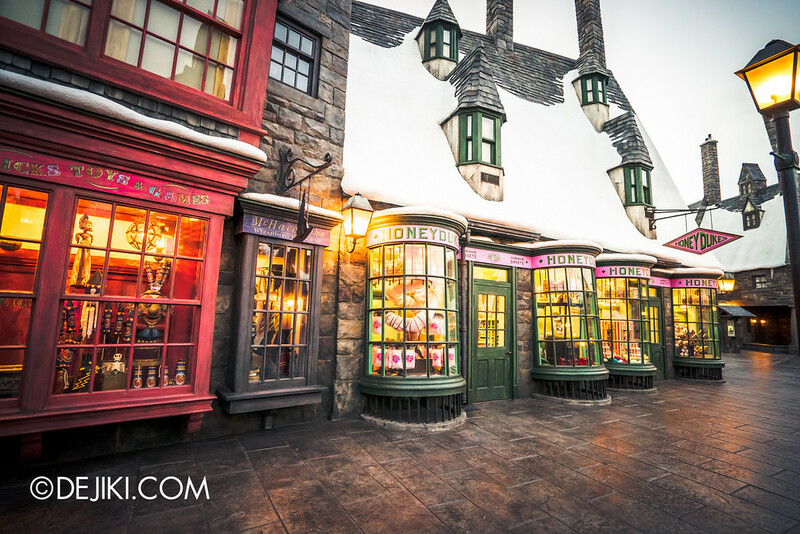 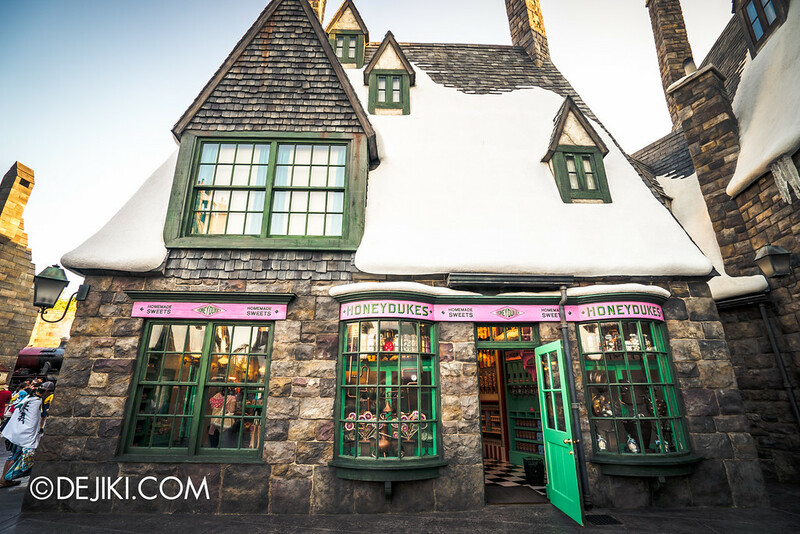 In the next part, we will continue our virtual window shopping spree and check out more shops at Hogsmeade.